Promo Codes and Gift Vouchers are a great way of adding value to your 360 photos. Price your photos high, because they really are worth that much. 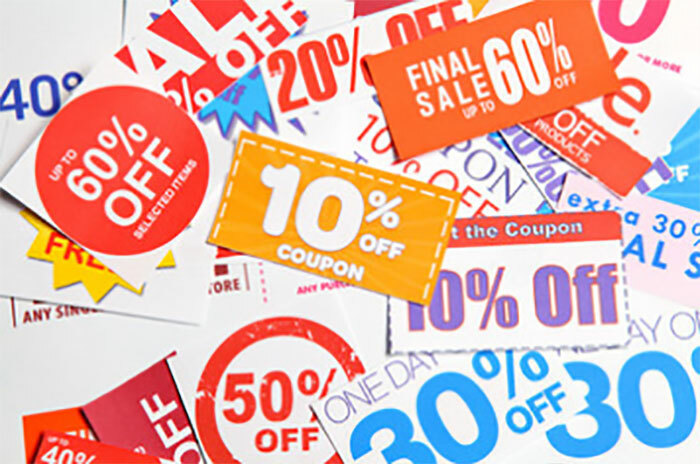 But then give your customers an incentive to buy them, by creating a limited-time offer. This will create a sense of urgency, as well as value. You’ll then see customers purchasing sooner and more often. 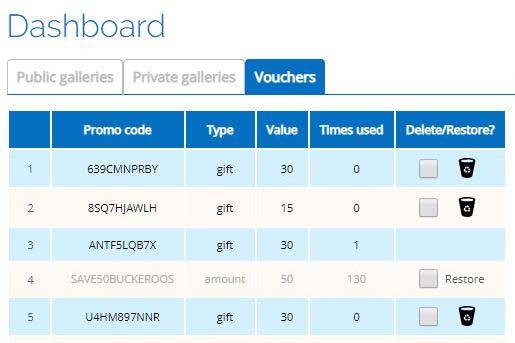 You can now create your own Promo Codes and Gift Vouchers in your My 360 Shop Dashboard. A Promo Code or Coupon Code can be used to offer a discount on purchases in your public galleries. You can offer a percentage discount (like ‘10% off’) or an amount (like ‘Save $25’ or ‘Save £10’). With Promo Codes, you specify the percentage or ‘dollar’ value. You don’t need to set the currency, because it will be the same as the currency you set for your gallery. Your Promo Codes can be used on any of your public galleries. Promo Codes can be used by many people and are valid until you delete them. Once deleted, another photographer on My 360 Shop can create a promotion with the same code. For example, if you create a promo with the code SAVE20, no one else can create a promo with that code until you delete the promo. Gift Vouchers are another great way of giving value to your customers and getting paid for your work. Giving away your photos is rarely a good idea. It cheapens your work and the 360 photo industry. A lot of the time, it doesn’t even work, because people don’t value free things enough to even take them. A better idea is to set a price on the photos and offer a Gift Voucher. The voucher can be for any value you decide. It can be the price of one photo, in which case you are giving away a free sample. But once the customer is in your public gallery, they’ll probably decide to purchase additional photos. These are sales you would never have made if you had just given away a free photo. When you create a Gift Voucher, the voucher code will be randomly generated for you. We’ve made sure that the codes don’t have 0, O, 1 or I in them, to prevent frustrating your customers. (It’s the little things that keep your customers happy and keep them coming back). A Gift Voucher you create can be used on any of your public galleries, but it can only be used once. You can also delete them when you want them to expire. Because it’s your 360 shop, you get to decide how to price your photos and who to charge. A different approach is to charge the business or brand that is holding an event (e.g. $500-$1,000 depending on your location and the number of hours you’ll be at the event). You then create gift vouchers in bulk and give one out to every customer. The customer effectively gets the photo for free, but they're worth £10 or $15 etc, so they realise that they're getting something valuable and worth sharing. The business benefits from customers sharing this unique content, so it could be the best marketing spend they've ever made. Promos or vouchers that have expired (been deleted) can be used again, if no one else is using that code. To re-use an expired promo, click the Restore checkbox next to it and Save. To create a Gift Voucher or Promo Code, go to your Dashboard and click the Vouchers tab. Here, you will also be able to see all of your codes, their value and how many times each code has been redeemed. Want to start using Promo Codes and Gift Vouchers to sell your 360 photos?